When i think of innovative aromatherapy leaders in skincare, Decléor spring to mind. With over forty years experience of expertly combining natures purist and potent blends of active botanical’s and essential oils, we are not only treated to an incredible sensorial experience, but an amazing skincare journey. Come with me whilst i talk you through an incredible new Skincare Collection from Decléor. Ahhhhhh, the scent of this reminds me of the Decléor Spa at CenterParcs haha. It smells fresh, fragrant, zesty and uplifting whilst also being a little relaxing at the same time. Infused with essential oils from lemon rind, the flowers of Sweet Marjoram, Lavender and Rosemary, this really is a beautiful, wake up call. From the moment you add water to this gel, you release a burst or herby freshness, that creates a lovely soft foam and cleanses the skin softly and gently without drying it out. A perfect start to the day. For those of you that may not know, this was the first product Decléor created. It really is a multitasking product that once you have, you will wonder how you lived without it. It has been a staple in my bathroom cabinet for years and years now. This gorgeous, marine blue gel can be used on both face and body and also blended with other Decléor products. It has a blend of incredible ingredient’s including an amino acid called Proline L, which is similar to plant collagen, and helps re-build the skin’s supporting fibres. The formulation also includes Osmanthus Absolute for its potent healing action. Years ago i used this on stretch marks on my hips due to previous weight loss and i was so surprised by the results. 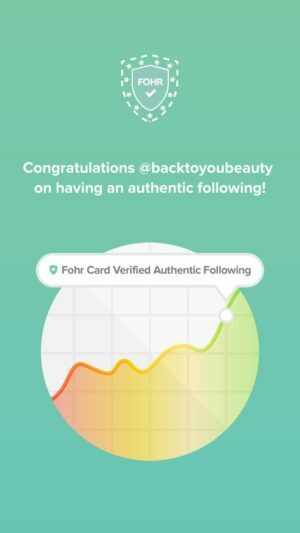 My skin looked smoother and more taught and the marks began to fade. The texture is beautiful, the gel glides on and sinks in without leaving any sticky residue whatsoever. 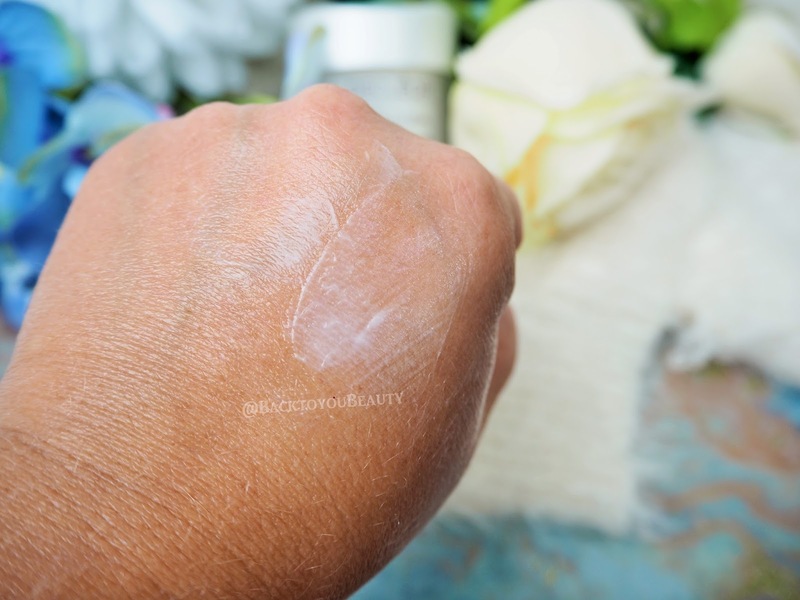 I was so surprised by how fast the product actually dried into my skin. Fantastic on my face too, especially the open pores around my nose! I have really noticed a big difference there with them looking smaller and more refined. Also, when my eyes are looking tired and a little dark, i use the gel as a mask under the eye area. I just pop a thicker than normal layer on, at night, and relax! Upon waking, my skin feels firmer and looks brighter. These past few years, as i have become older (42), i tend to apply this around my neck and jowl area to give me a more lifted and sculpted look to that area of my face too. In my opinion this is a great multitasking product that really works and it can be mixed with your balms for greater effect. Perfect as your tightening and firming serum. This brand new product release from Decléor is absolutely worth the price of admission alone. Harnessing the powers of Vitamin C alongside the calming effects of Chamomile and the hydrating effects of Hyaluronic Acid, this is a gem of a product. 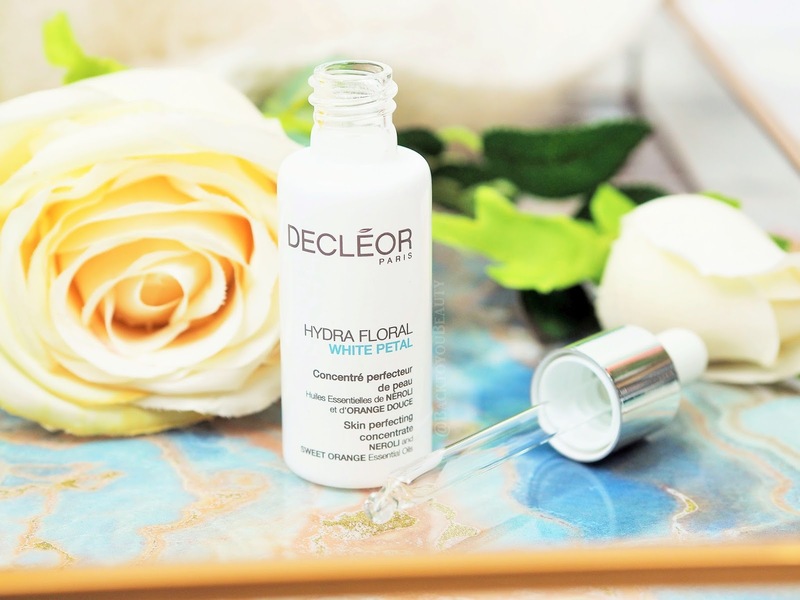 If you suffer with dark spots, pigmentation or an overall dullness to the skin, the Hydra Floral White Petal Perfecting Concentrate can absolutely help with that over time. Containing Orange Essential Oils, Hyaluronic Acid, Chamomile, Pea Extract and Rose Floral Water, this highly concentrated selection of ingredients is incredibly gentle on the skin. Using the dropper included, apply a few drops to cleansed face and decollete day and night (before your serum) and breathe in the gorgeously fresh and aromatic scent. Although this concentrate is slightly thick, it feels fresh and cool on the skin and immediately sinks in without leaving behind any residue. I absolutely adore this product and although i have only been using it for just over a week, my skin looks brighter. Very much looking forward to the results on my pores and pigmentation over time. I have previously mentioned that this was the first Decléor product I ever tried, many years ago. It was this that got me and many members of my family completely hooked on Decléor. Why? The results speak for themselves. This Moisturiser is so delicately beautiful and absolutely perfect for boostinglife into dry and thirsty skin. Perfect for use all year round, it really drip feeds goodness into the skin. 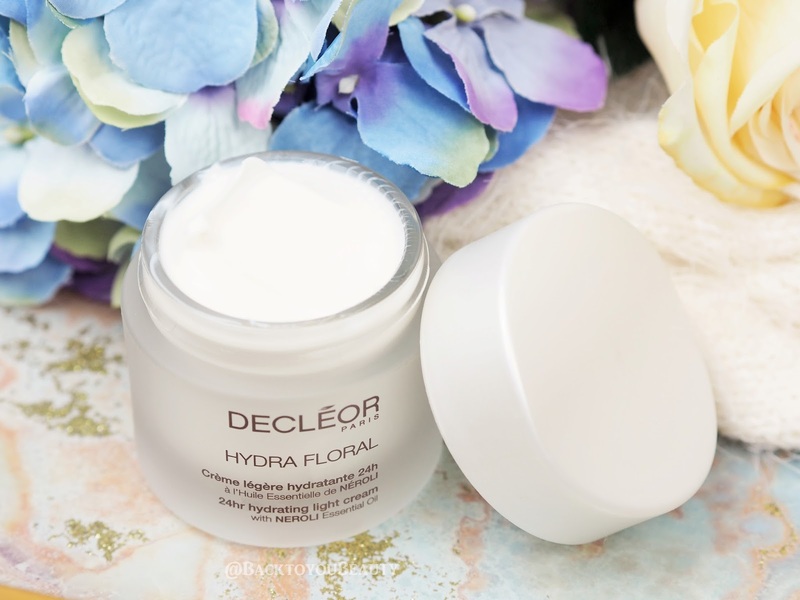 Hydra Floral uses innovative technology to mimic a plants ability to keep its flowers perfectly hydrated from dawn to dusk, therefore this light cream is able to hydrate for 24 hours. 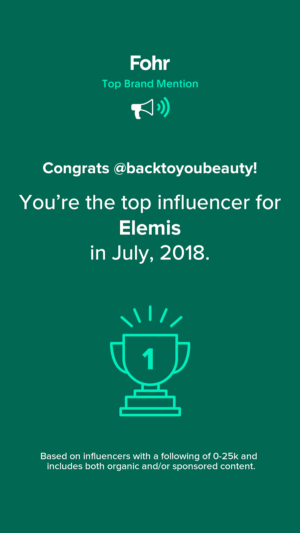 When you read the stats on Decléors website, it is easy to understand how 85% of women that trialled this product, noticed their skin was softer and revitalised. I have to agree. You only need to use a tiny amount on the spatula provided as it easily spreads over the skin and nourishes it with plant botanical’s giving a deep level of hydration. Hydra Floral smells delicatelyfloral and is my second favourite Decléor scent only just beaten by the Aurabsolu scent. 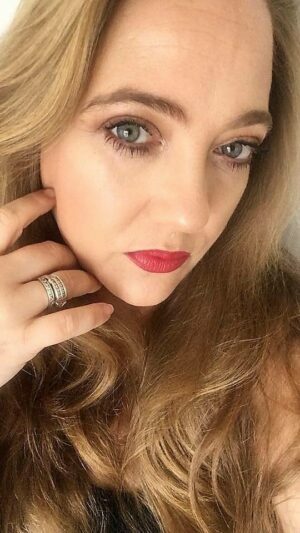 I find it sinks in really quickly without any roll off and is a lovely base for make up. I wouldn’t really suggest an age range on this product as it depends on your skin. Most people at some time or other will suffer from dehydrated skin so its great to have this In your repertoire.. I happily used it in my thirties and my mum does in her sixties, its more about your skin condition. 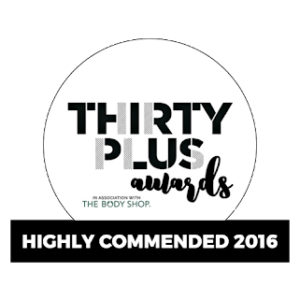 If you have dehydrated skin, stressed skin, oily skin..any skin that needs a boost at this time of year then this could be great for you. Now I love balms, love, love, love them especially cleansing balms so to have a night balm too is just a continuation of an amazing evening ritual . When you first open this 15ml pot, please do not think that it will not last you very long. It will, these balms are so beautifully concentrated that a little really does go a long way, so please don’t overuse. Why do I love a balm so much? 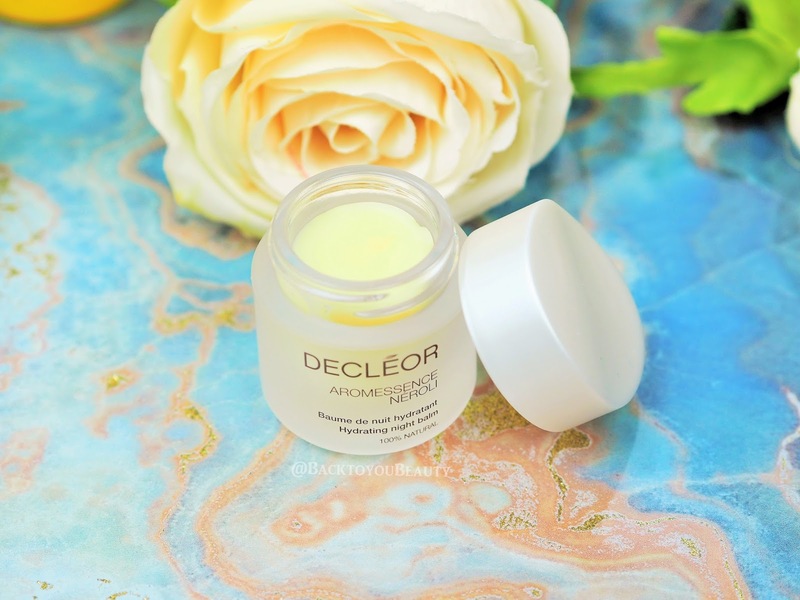 For me its the promise of beautiful, soft, supple skin and this hydrating Neroli Night Balm from Decléor really does not disappoint. If you have congested skin, combination skin, skin that needs some comforting, then this could be amazing for you. This would be my choice at certain times of the month, when my skin is slightly unpredictable, looks a little sluggish and has a few breakouts along the jaw line. This is Spa-in-a-Jar! This really is the most relaxing, indulgent, calming smell to fall asleep to at the end of your night time skincare routine. It is addictive hahaha (Can you tell i’m a fan?) Neroli Night Balm includes essential oils of Basil, Neroli, Chamomile & Tonka Bean, all of which work really hard to feed and nourish your skin. When I smoothe a small amount into my skin, I really do feel relaxed and calm and the next morning I wake up to soft, calm, radiant skin. As I said, this one for me would be would be great slotted into my routine at certain times of the month. Great size for travelling and overnight bags. My thoughts on this collection – The Decléor 5 Piece Hydrating Perfecting Collection really is a wonderful collection for anyone with a mature skin, seeing those fine lines and wrinkles, for a topsy turvy skin, that is struggling with breakouts and skin that needs hydrating, brightening and some tender loving care. If you love the sense of well-being that aromatherapy brings to you and your skin, then treat yourself to this incredible collection. Each item can be used as a complete routine, slotted into an existing routine or used at certain times of the month when needed. A beautiful, well thought out collection. The Decléor 5 Piece Hydrating Perfecting Collection is available exclusively on QvcUK as a one day only Today’s Special Value. This collection is available for twenty four hours on Sunday 13th August 2017 or whilst stocks last. If bought direct and separately from Decléor this collection is worth £190 but on QvcUK will be £66 You can purchase this collection HERE. 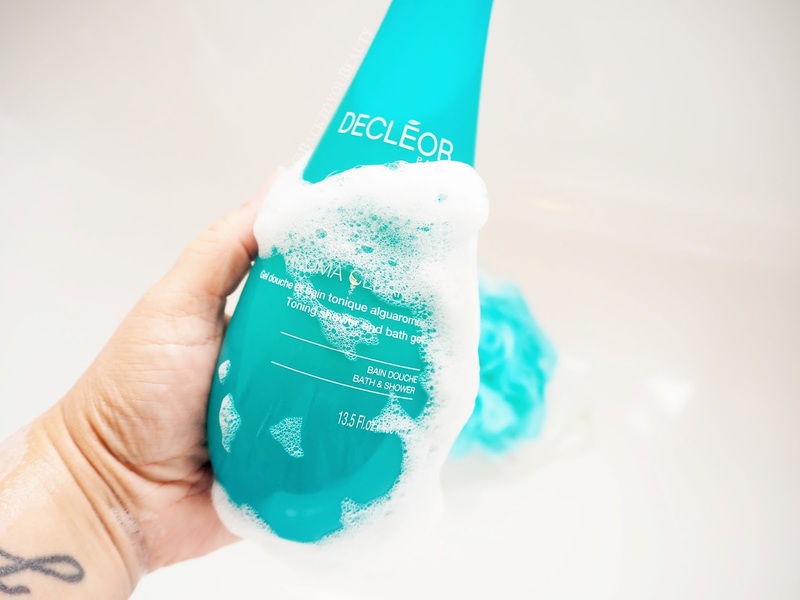 Have you ever tried Decléor? If so, which are your favourite products and why? Please leave me a comment below. 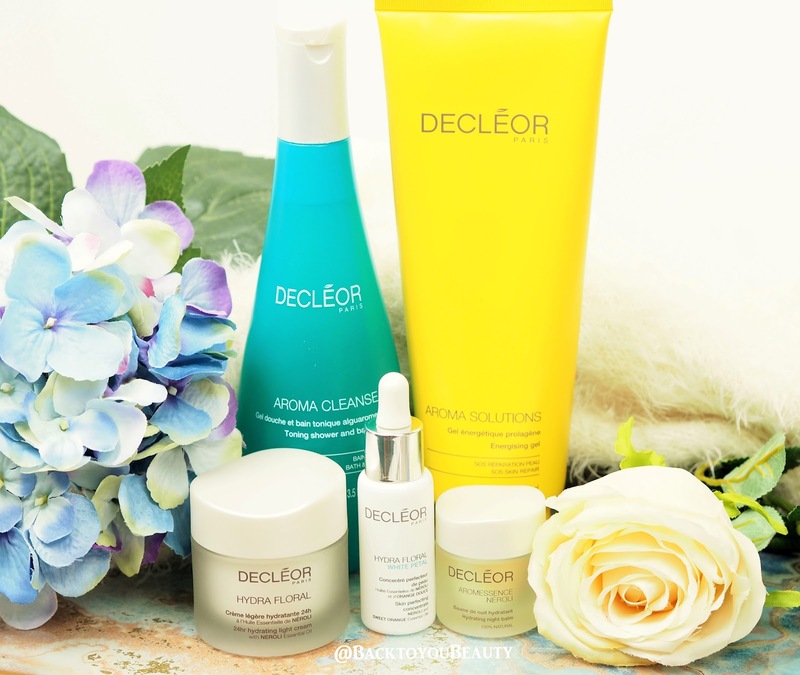 I've never used Decleor before and this looked like the perfect set to start with. Having read your blog, I think you've sold it to me! Sheila. Decleor is such an iconic skincare brand. I really like the sound of the Hydra Floral White Petal Perfecting Concentrate.